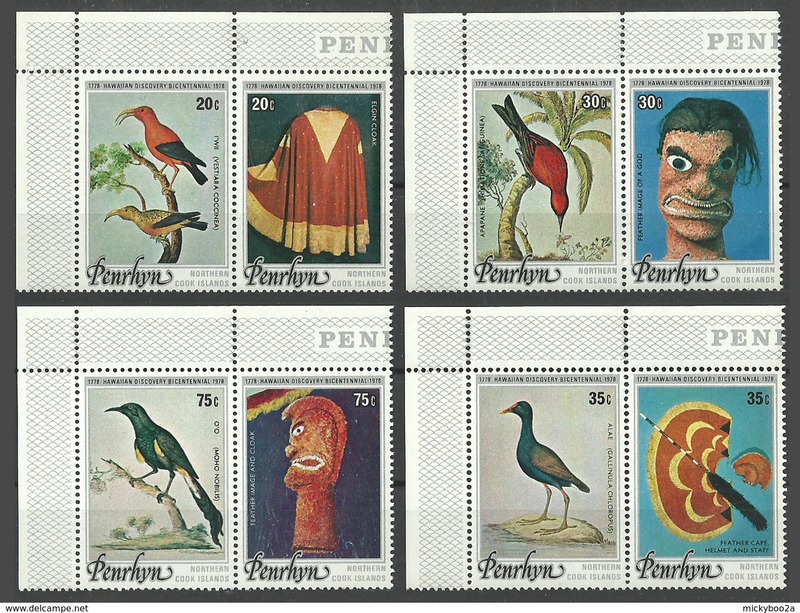 Penrhyn Island 1978 Official set unmounted mint. Penrhyn Island 1984 Christmas unmounted mint. Penrhyn Island 1984 Birth of Prince Henry unmounted mint. Penrhyn Island 1984 Sailing craft and ships March 21 values unmounted mint. 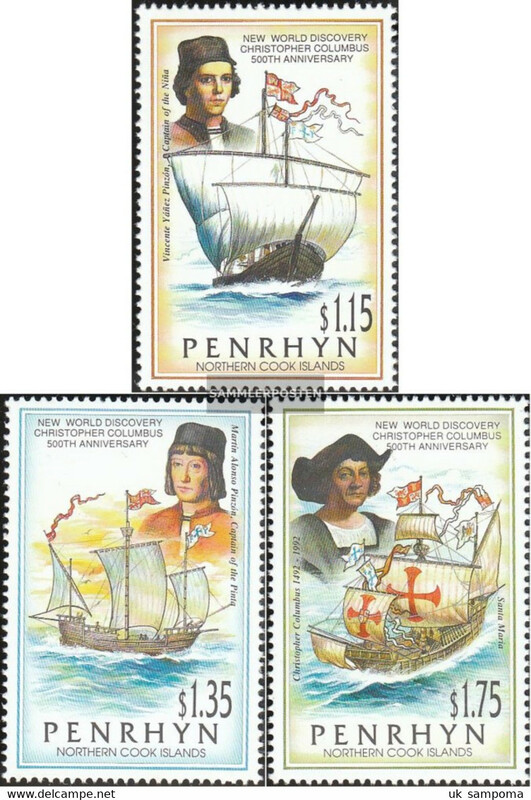 Penrhyn Island 1984 Sailing craft and ships set to $5 unmounted mint. Penrhyn Island 1984 Sailing craft and ships set unmounted mint. 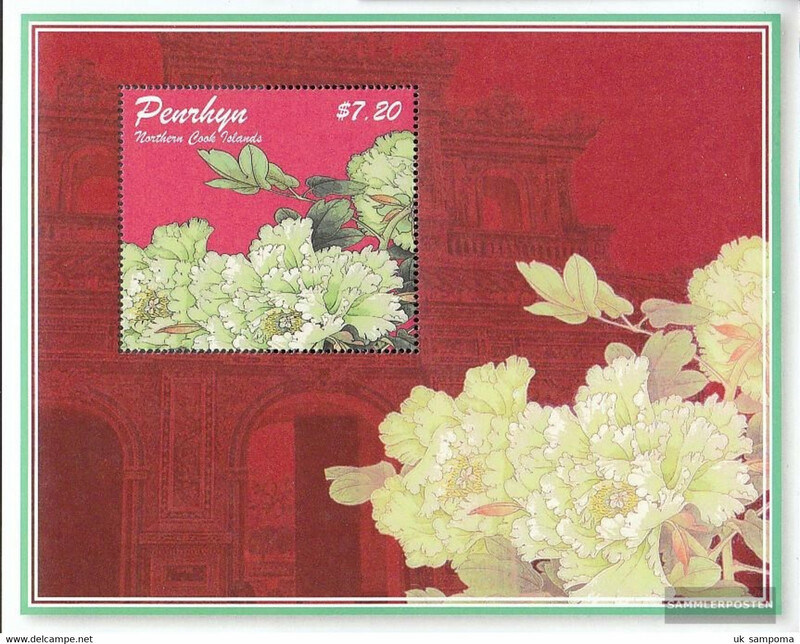 Penrhyn Island 1984 Ausipex unmounted mint. 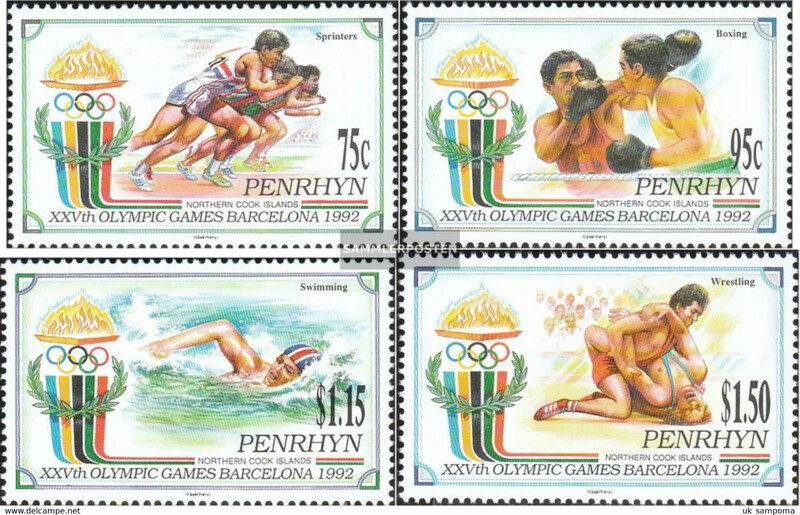 Penrhyn Island 1984 Olympics unmounted mint. Penrhyn Island 1983 Christmas unmounted mint. 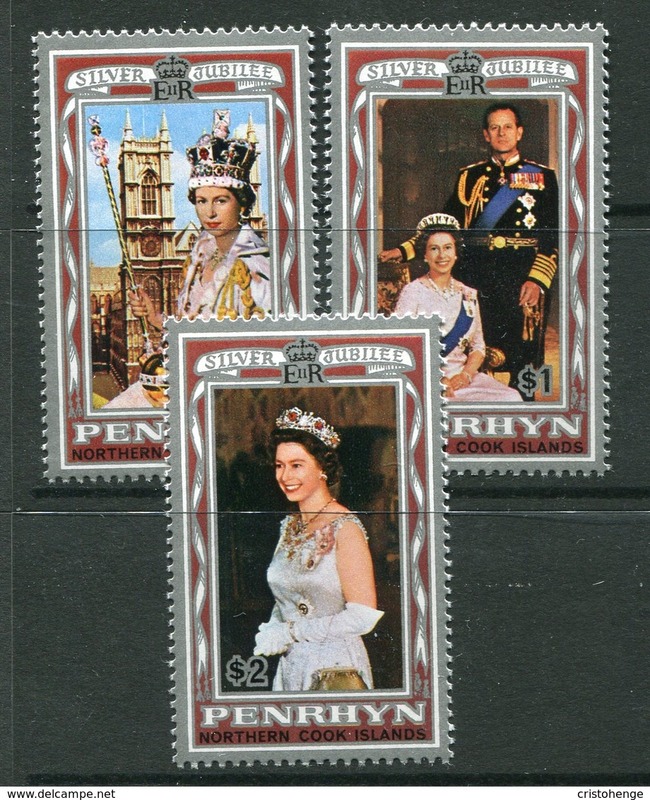 Penrhyn Island 1983 Provisional set unmounted mint. 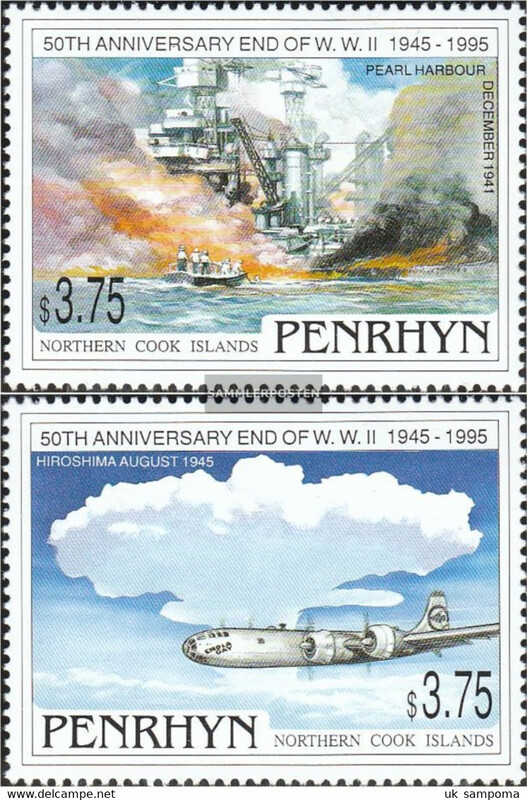 Penrhyn Island 1983 Manned Flight corrected spelling set unmounted mint. 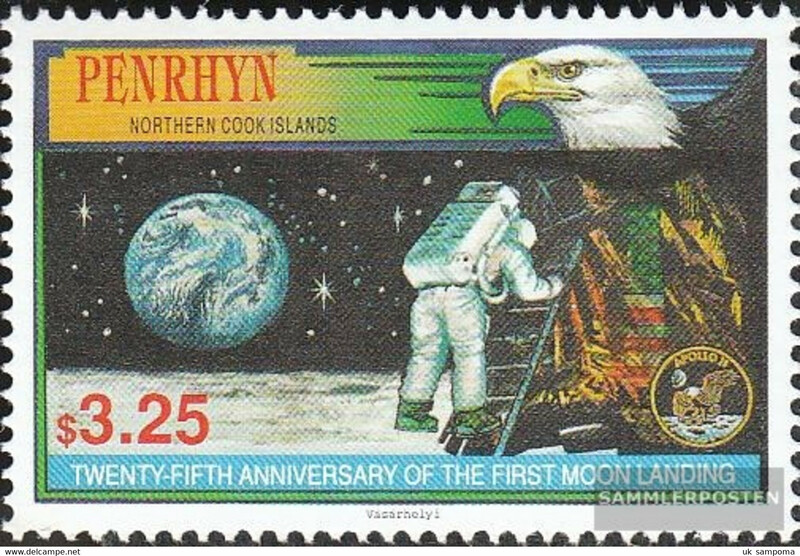 Penrhyn Island 1983 Manned Flight incorrect spelling set unmounted mint. 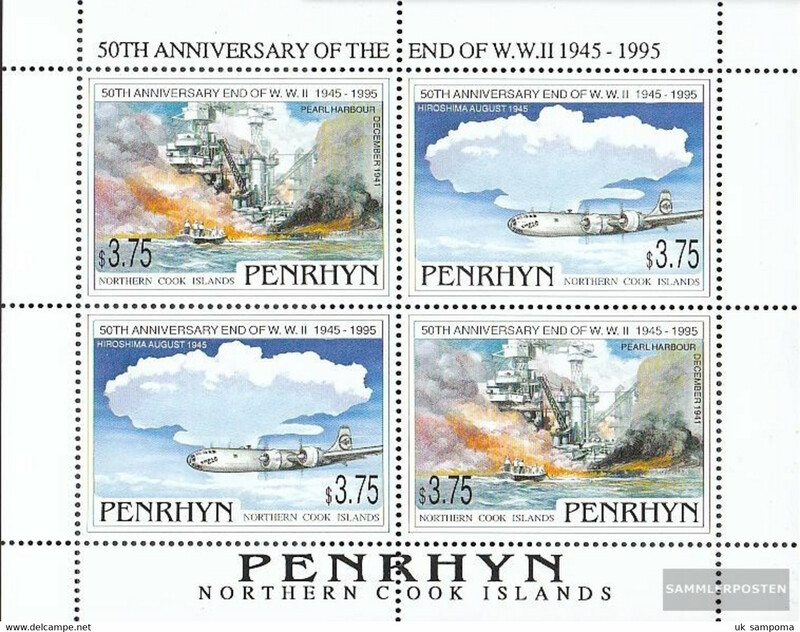 Penrhyn Island 1983 (Oct) Provisional set unmounted mint. 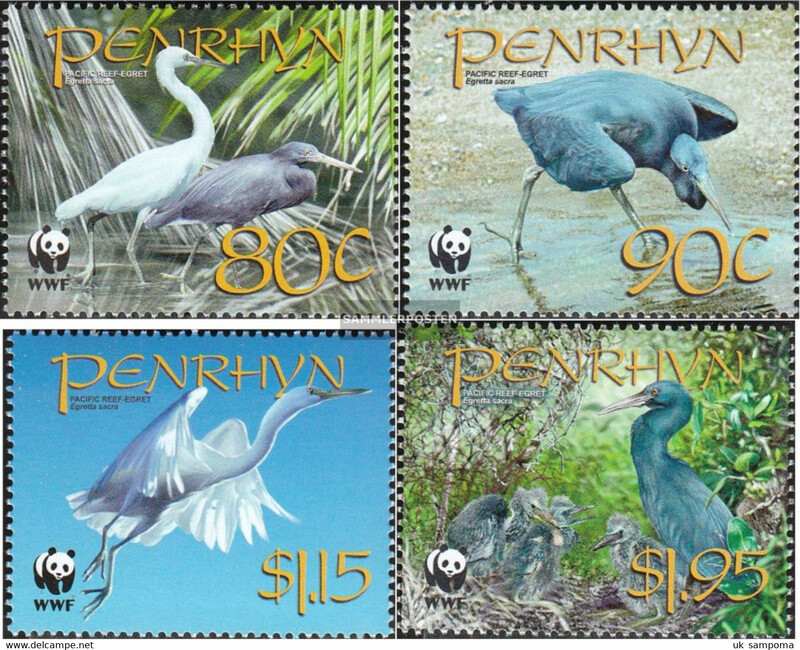 Penrhyn Island 1983 (Sept) Provisional set unmounted mint. 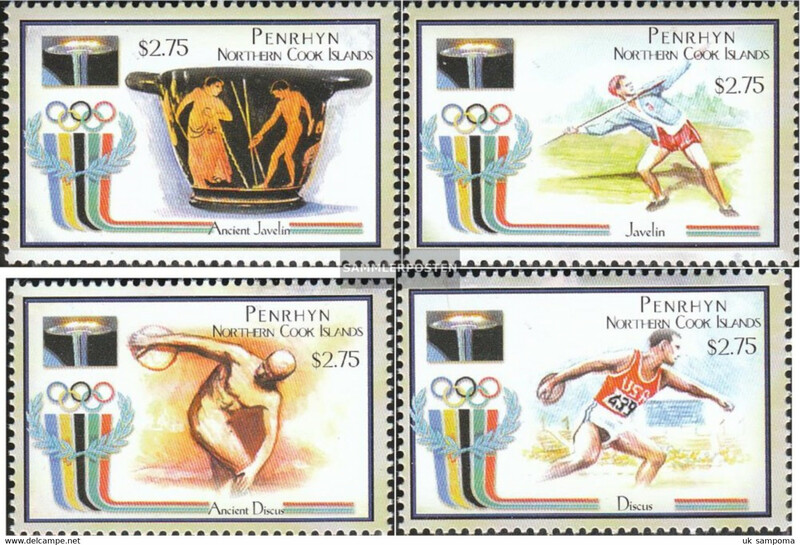 Penrhyn Island 1983 World Communications Year unmounted mint. 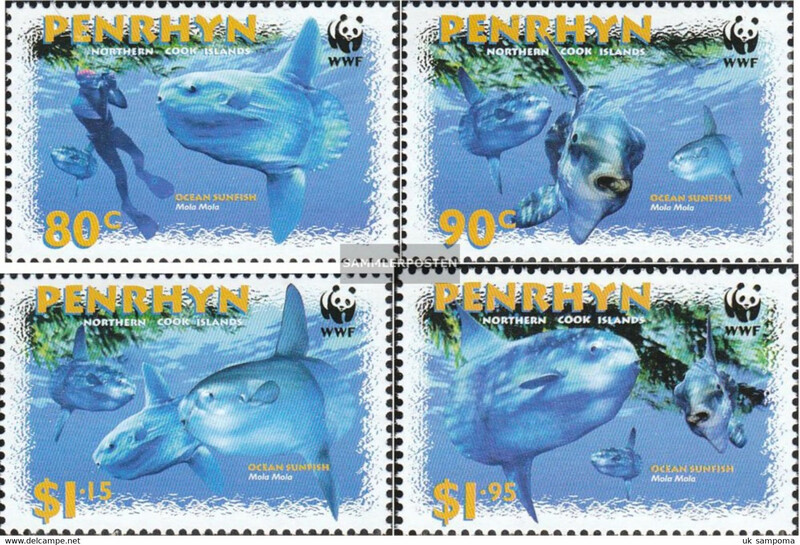 Penrhyn Island 1983 Whale Conservation unmounted mint. 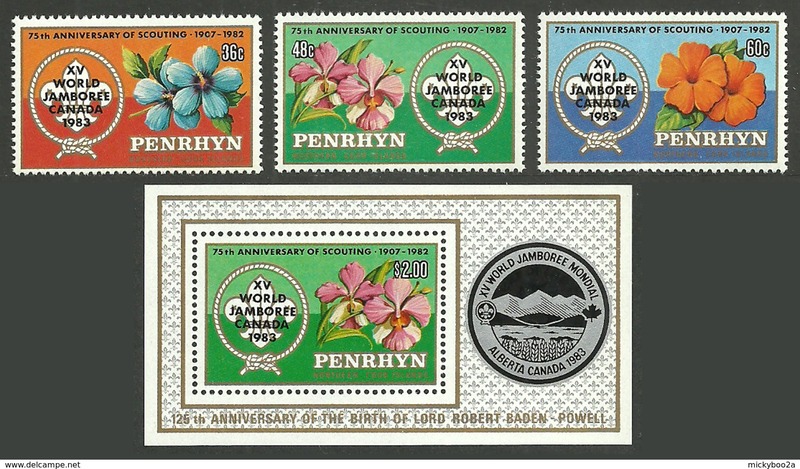 Penrhyn Island 1983 Scout Jamboree unmounted mint. Penrhyn Island 1983 Boy Scouts unmounted mint. 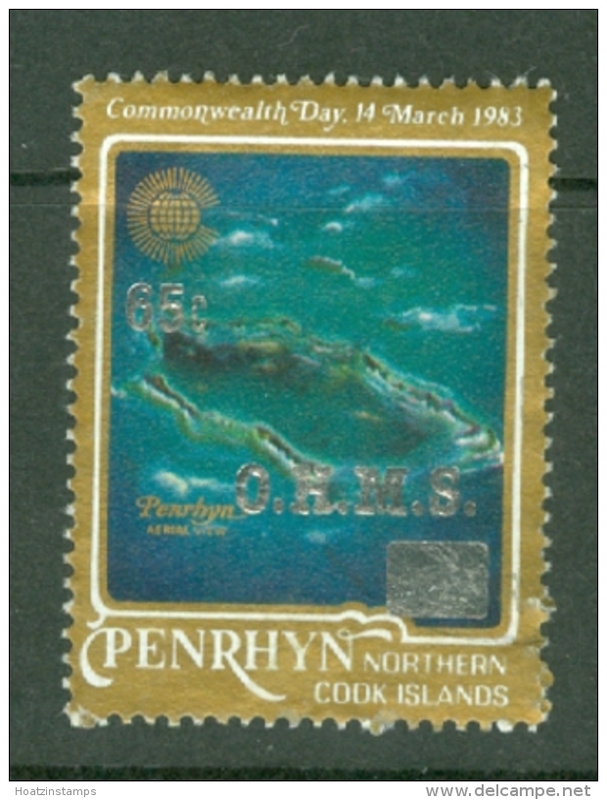 Penrhyn Island 1983 Commonwealth Day unmounted mint. Penrhyn Island 1982 Christmas unmounted mint. 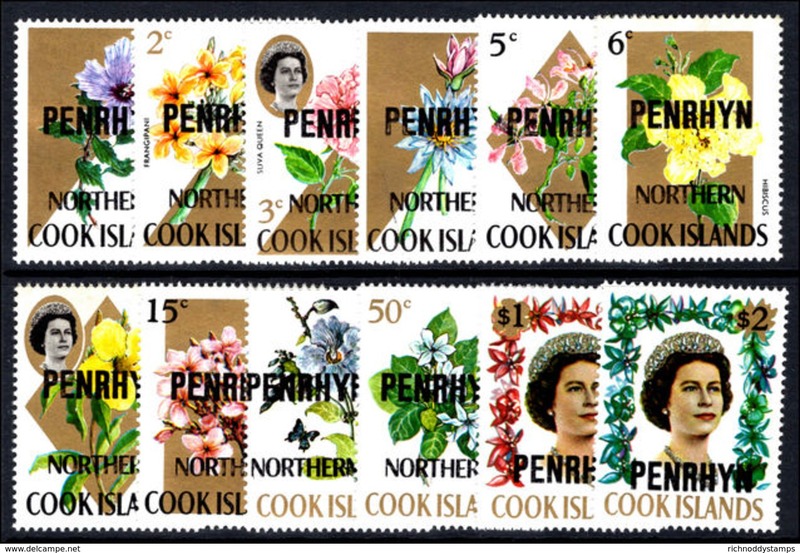 Penrhyn Island 1982 Birth of Prince William set of 10 unmounted mint. 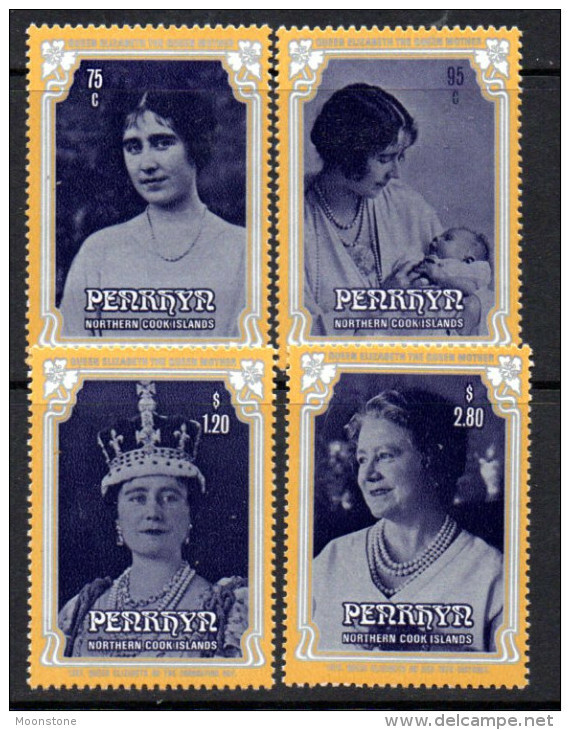 Penrhyn Island 1982 Royal Birth set unmounted mint. Penrhyn Island 1982 Birthday of Princess of Wales unmounted mint. Penrhyn Island 1981 Christmas unmounted mint. 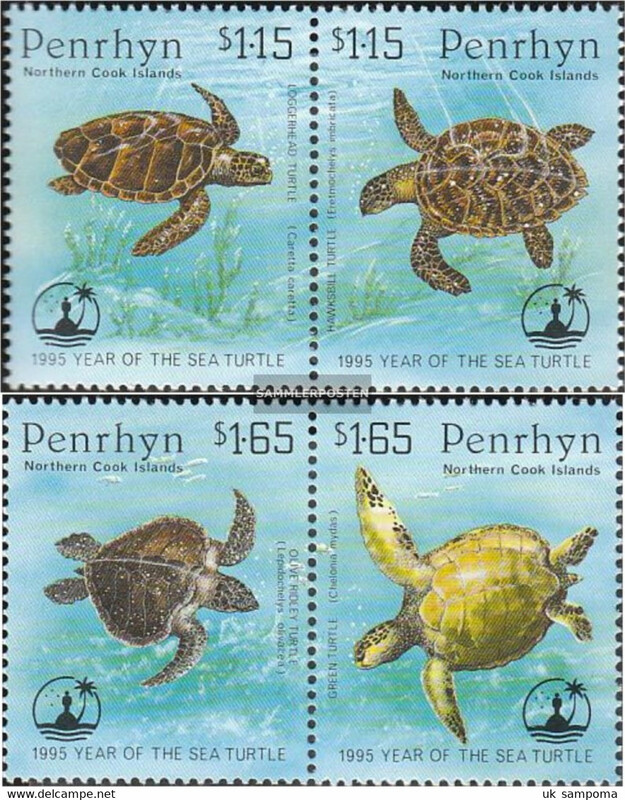 Penrhyn Island 1981 $1 block of four unmounted mint. Penrhyn Island 1981 Sailing craft and ships set unmounted mint. Penrhyn Island 1981 Easter unmounted mint. 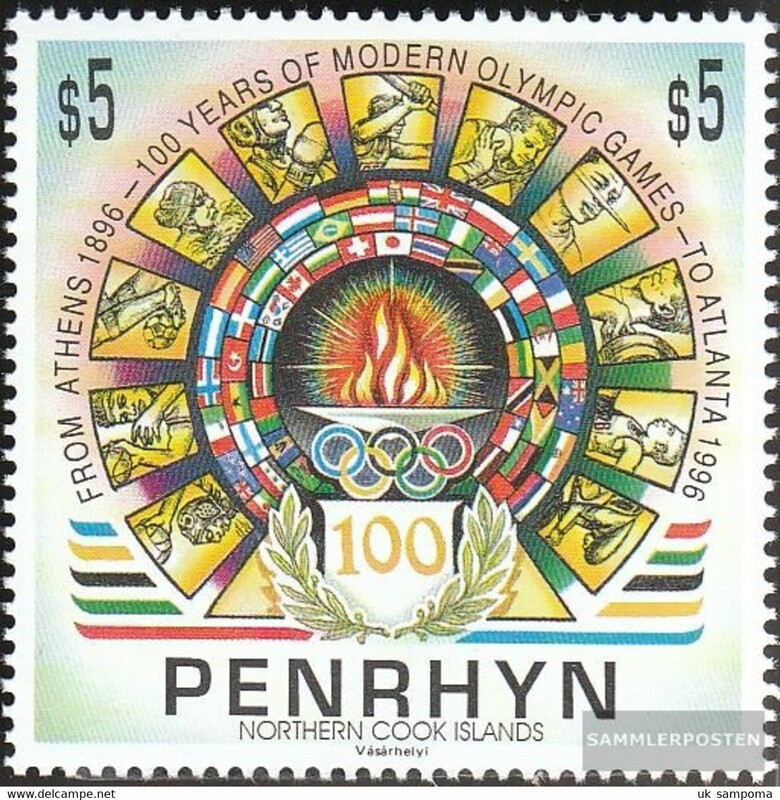 Penrhyn Island 1980 Moscow Olympics unmounted mint. 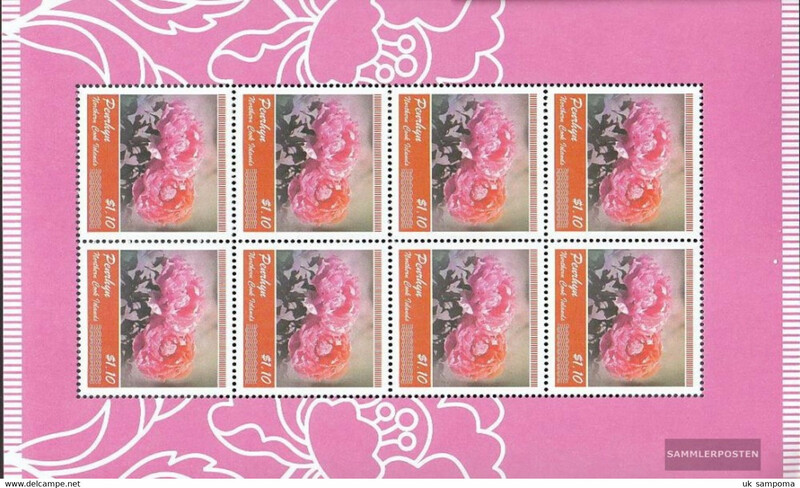 Penrhyn Island 1979 International Year of the Child unmounted mint. Penrhyn Island 1979 Rowland Hill unmounted mint. Penrhyn Island 1978 Christmas unmounted mint. Penrhyn Island 1978 Discovery of Hawaii unmounted mint. Penrhyn Island 1977 Christmas unmounted mint. Penrhyn Island 1975 Kia Ora Astronauts unmounted mint. 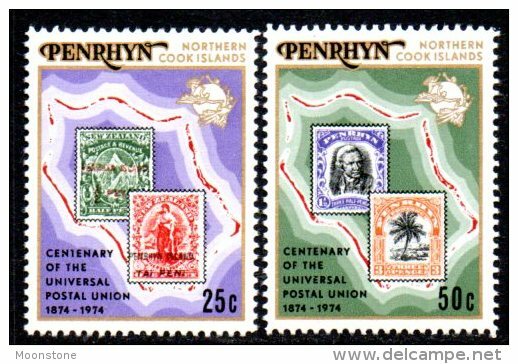 Penrhyn Island 1973 set with fluorescent markings unmounted mint. Penrhyn Island 1974-75 Fishes set to $1 unmounted mint. 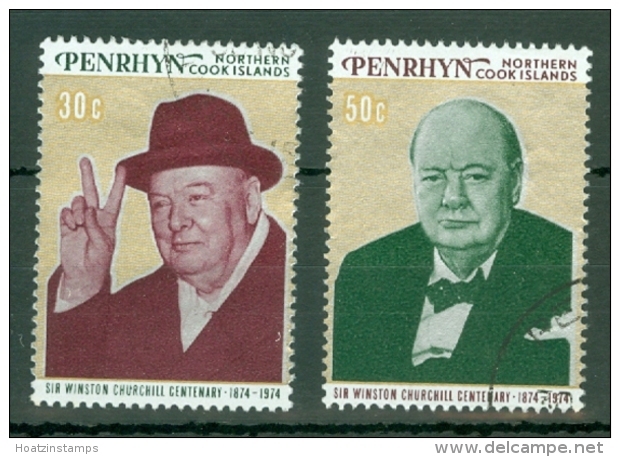 Penrhyn Island 1920 1½d Captain Cook lightly mounted mint. 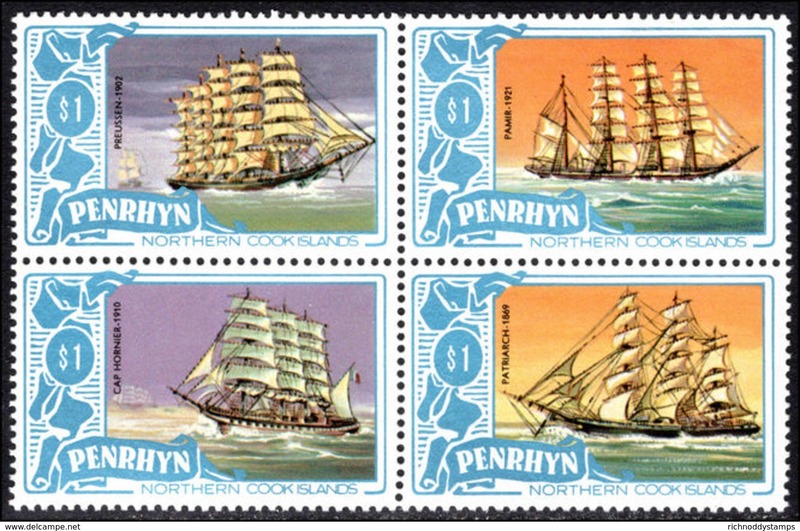 Penrhyn Island 1981 Ships (16th February values) unmounted mint. 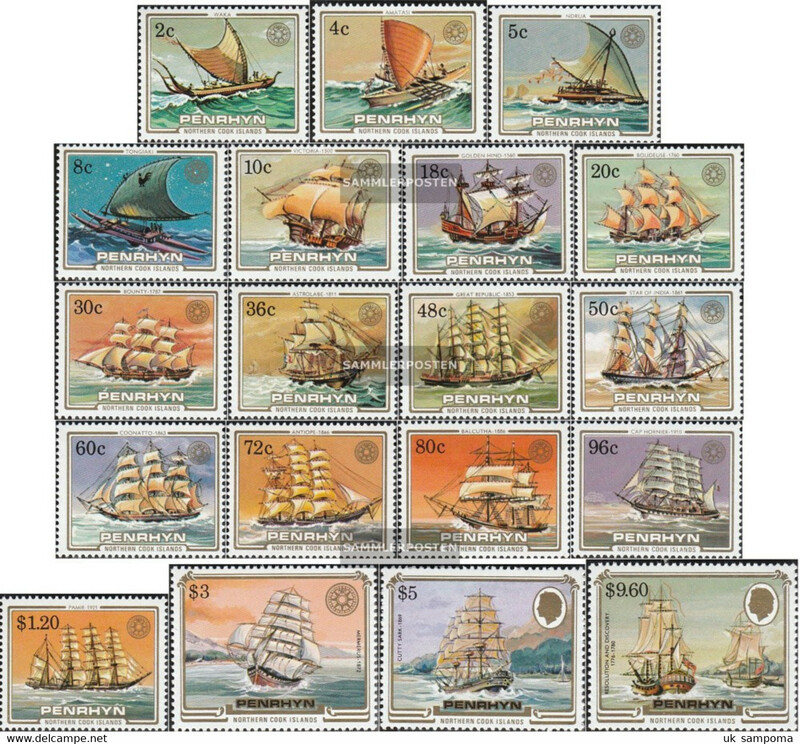 Penrhyn Island 1981 Sailing craft and ships set to $4 unmounted mint. 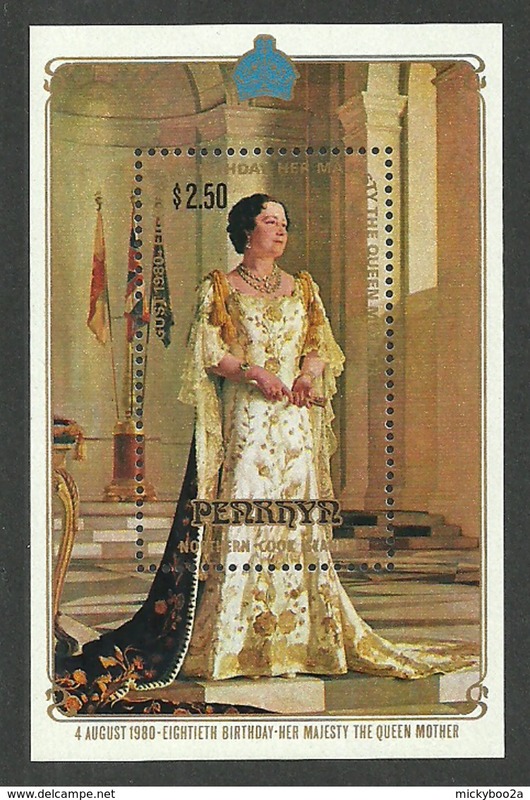 Penrhyn Island 1981 $4 Mermerus unmounted mint. Penrhyn Island 1981 $2 Cutty Sark unmounted mint. Penrhyn Island 1976 American Revolution unmounted mint. Penrhyn Island 1975 Christmas unmounted mint. Penrhyn Island 1974-75 Fishes unmounted mint. Penrhyn 668-669 (complete issue) unmounted mint / never hinged 2012 Pope Johannes Paul II. 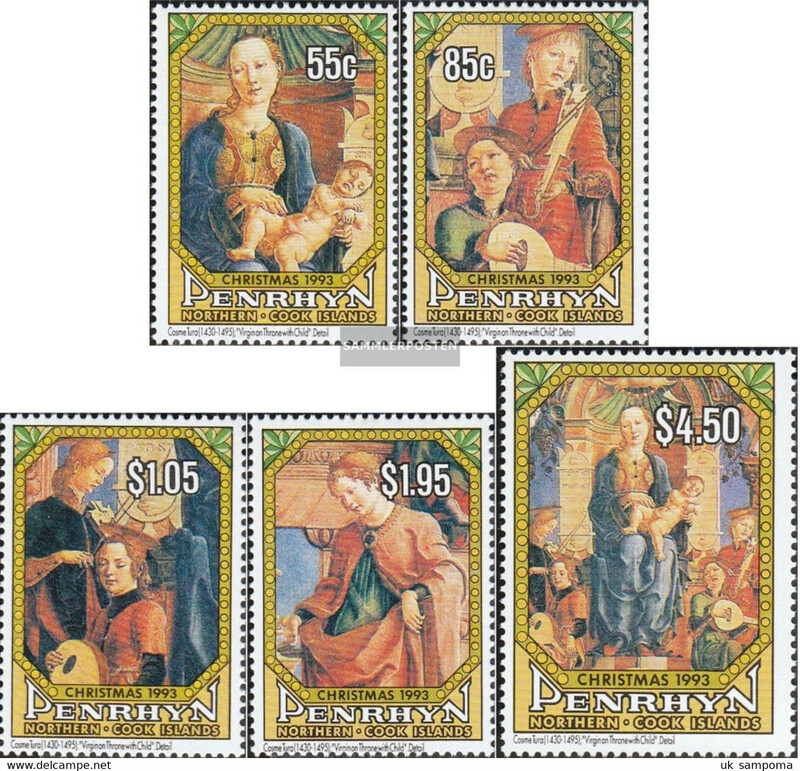 Penrhyn Island 1982 Christmas souvenir sheet first day cover. Penrhyn Island 1981 Royal Wedding first day cover. 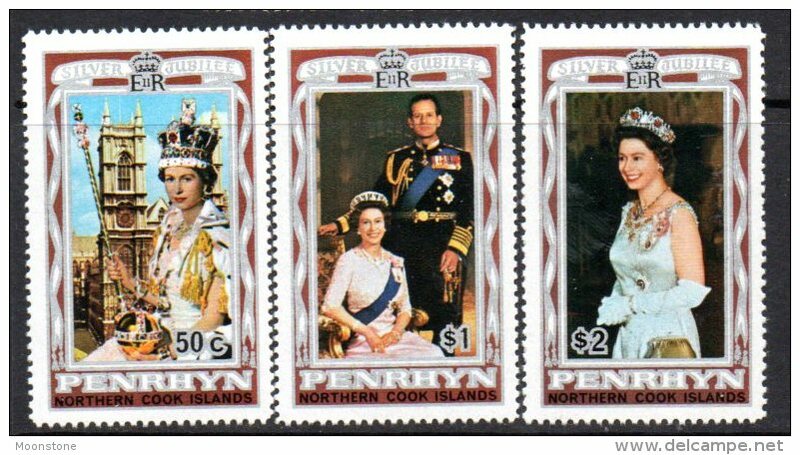 Penrhyn Island 1984 $2 Prince Henry sheetlet unmounted mint. Penrhyn Island 1982 Royal Wedding booklet unmounted mint. 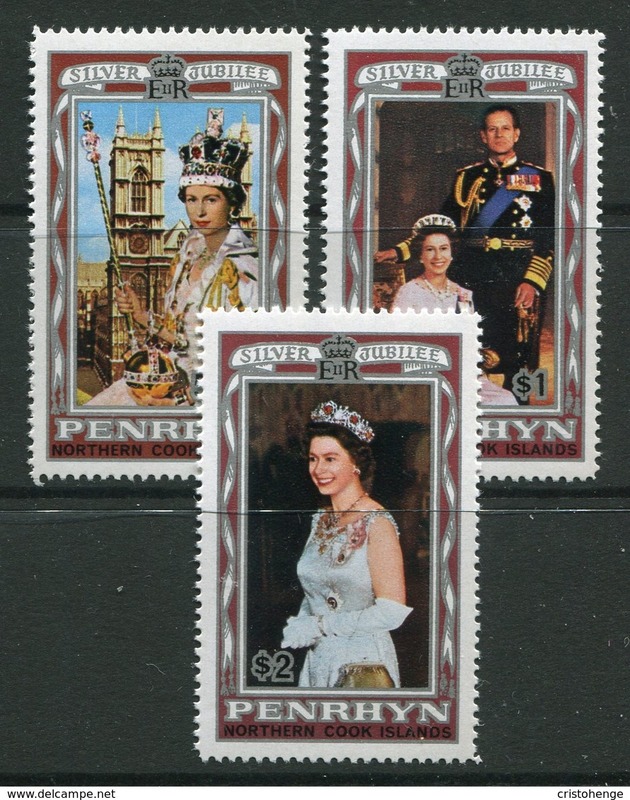 Penrhyn Island 1982 Prince William sheetlet set unmounted mint. Penrhyn Island 1982 Prince William souvenir sheet unmounted mint. 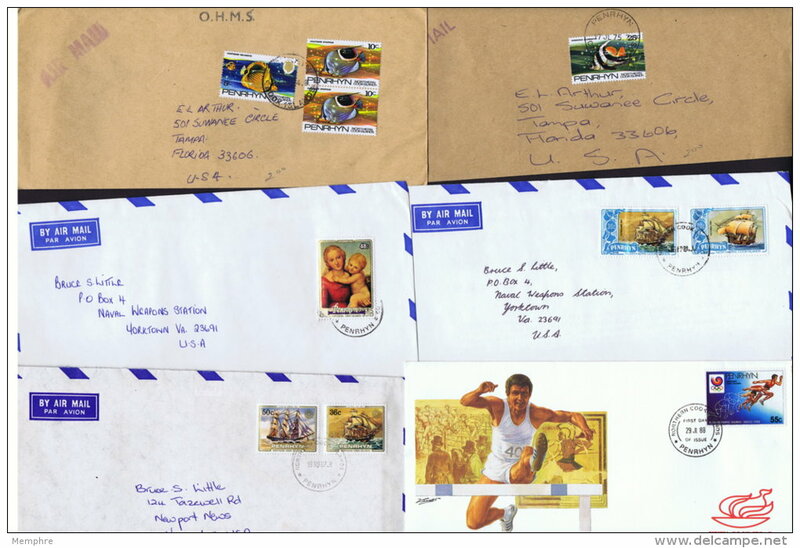 Penrhyn Island 1983 Provisional errors on first day covers. 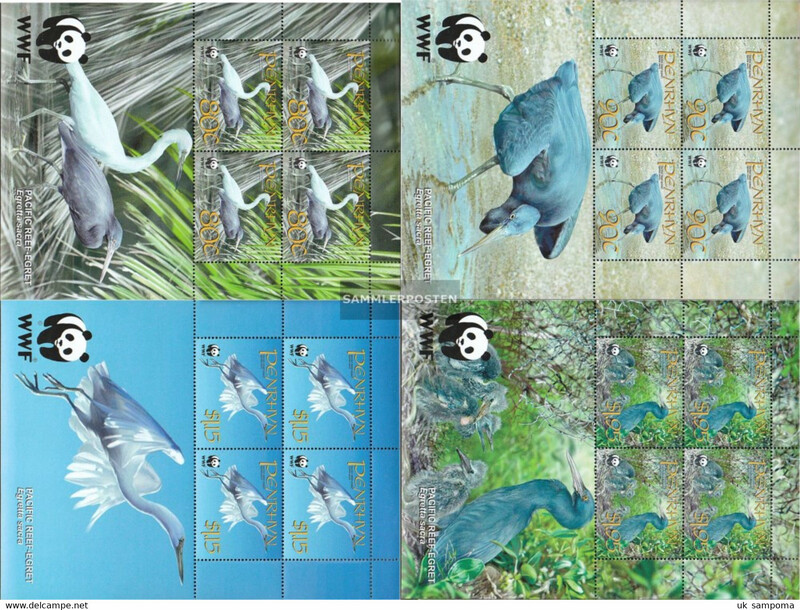 Penrhyn Island 1982 Childrens Charity souvenir sheet set on first day covers. 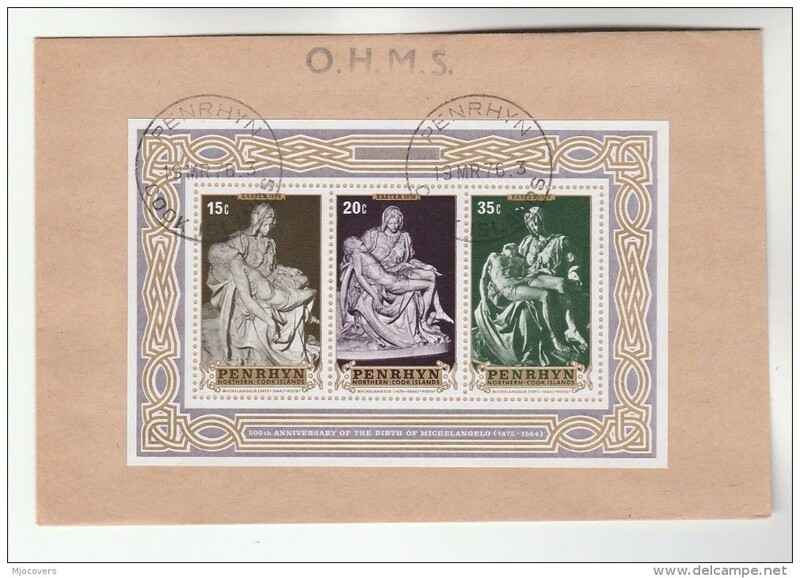 Penrhyn Island 1983 Prince Charles Provisionals first day cover. Penrhyn Island 1983 Prince Charles 96c provisional first day cover. Penrhyn Island 1982 Prince William souvenir sheet first day cover. Penrhyn Island 1982 Prince William first day cover. Penrhyn Island 1981 Year of the Disabled person sheetlets unmounted mint. 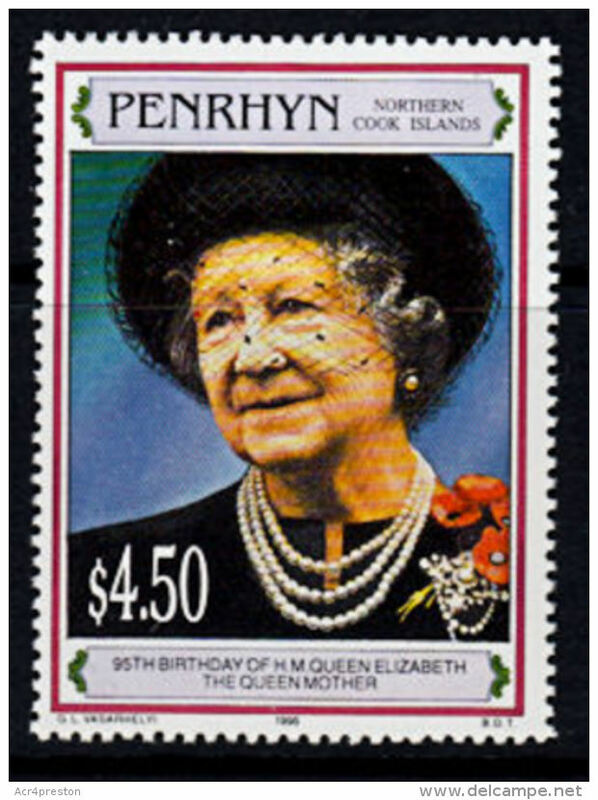 Penrhyn Island 1986 60th birthday of Queen Elizabeth unmounted mint. 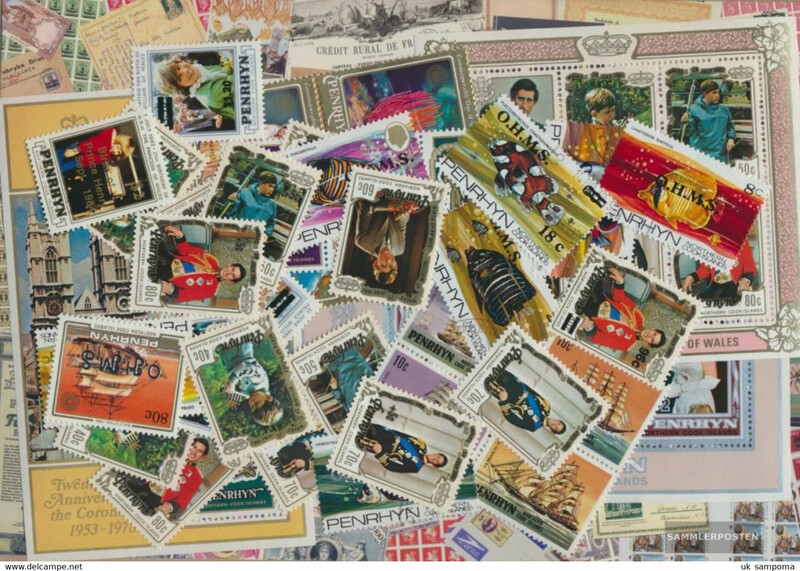 Penrhyn Island 1982 Childrens Charity souvenir sheet set unmounted mint. 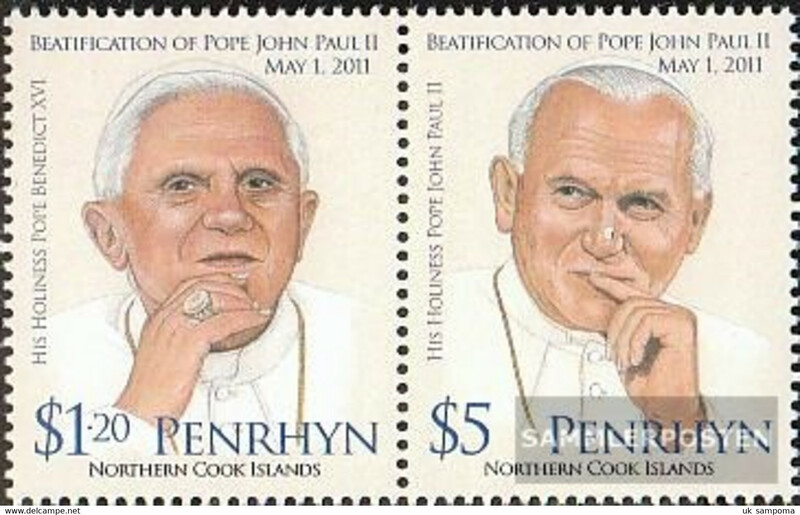 Penrhyn 668-669 Couple (complete issue) unmounted mint / never hinged 2012 Pope Johannes Paul II.